In need of one more app to stream all of your favorite content with? Well, Yahoo just released the Yahoo Screen app for Android, which has been available on iOS devices since last September. It may be just a tad late, but from the quality of content we are seeing (for free, mind you), it seems worth it. 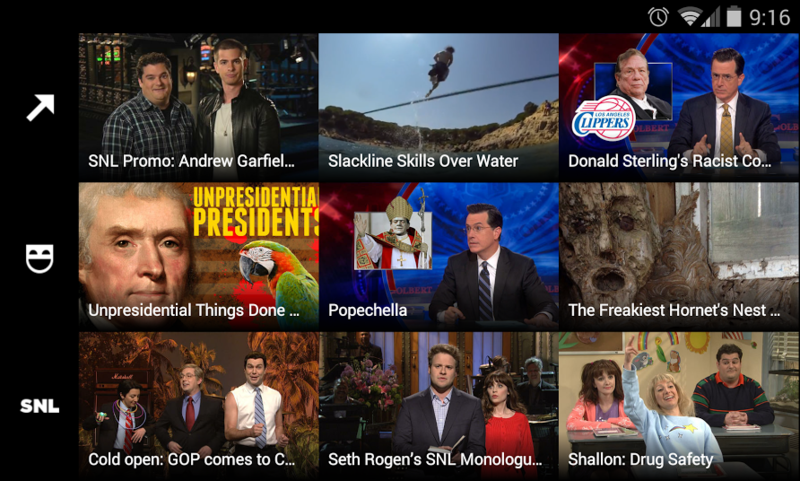 Users are able to access a grid, complete with plenty of clips/highlights from hit TV shows including SNL, Comedy Central titles like The Daily Show and Tosh.O, and scenes from South Park. As stated, the app and all of its content are free, so you can’t exactly beat Yahoo’s offer. If you like what you see, go grab it from Google Play.